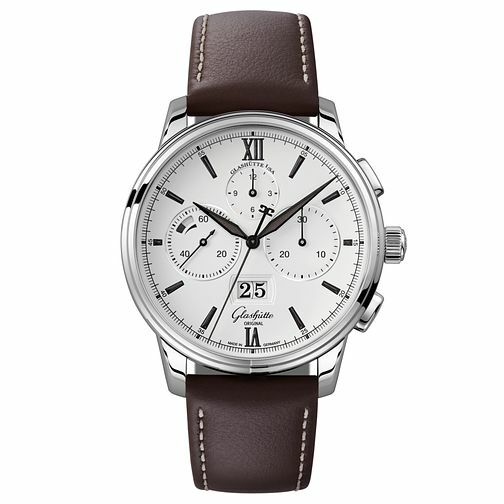 This Glashutte chronograph men's watch is part of the Senator Excellence collection, and pure excellence it exudes. A crisp white round dial features three subdials, a date display towards the 6-o-clock position, and co-ordinating hour indexes and hands. Encapsulated within a stainless steel case, this smart timepiece is finished with a brown leather strap. A classic timepiece versatile for day and night.